How do I get my LIFE back? It is possible, but a fresh analysis of the home and surroundings is vital. Modifications can restore a real degree of independence, even after a severe incident. These brain-related health conditions often bring new challenges: navigating the home with balance deficits, working with cognitive changes, and safety concerns. Live In Place has answers. At the onset of stroke or TBI, visual problems, paralysis, and cognitive issues may complicate mobility and safety upon returning to the home. Each situation is unique. Live In Place will help you navigate new ways of approaching tasks. Live In Place is experienced with home modifications for these circumstances. Our clients agree it is still possible to remain safely at home with mobility and independence after having a stroke or a traumatic brain injury. Safety factors for fall prevention, including assessment of doorways, stairs, and bathroom safety. Mobility and accessibility are high priorities in our recommendations for modifications throughout your home. 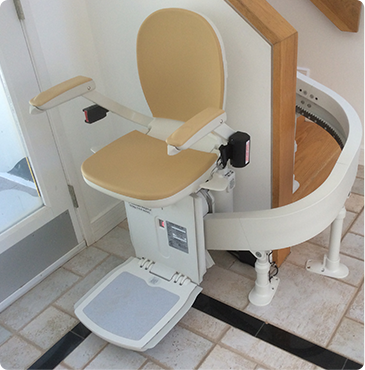 Moving within the home is enhanced using whatever assisted devices are needed that allow greater independence. This is factored into our advisement. Again, fall prevention is a major part of Live In Place’s modifications and recommendations. A fracture due to a fall can result in returning to the hospital and possibly rehabilitation. This is avoidable. Our goal is to ensure the quality of your life to keep you in your home. We also educate our clients about new ways of approaching tasks. Rehabilitation occurs best in a familiar, supportive environment, and what better place than your own home? Contact us today at (703) 433-0380 or request a consultation and we’ll discuss your circumstances and answer any questions you may have.